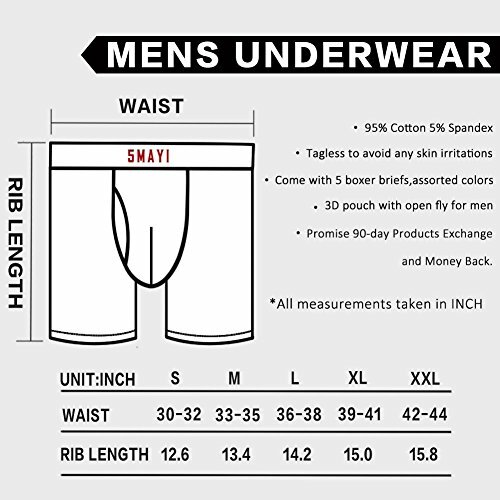 AMERICAN STANDARD SIZE: This mens underwear size(Small 30″ – 32″) (Medium 33″ – 35″) (Large 36″ – 38″) (XLarge 39″ – 41″) (2XLarge/ XXL 42″ – 44″);Please choose your size through comparing your leg circumference additionally,because some guests needs a larger one for strong legs. 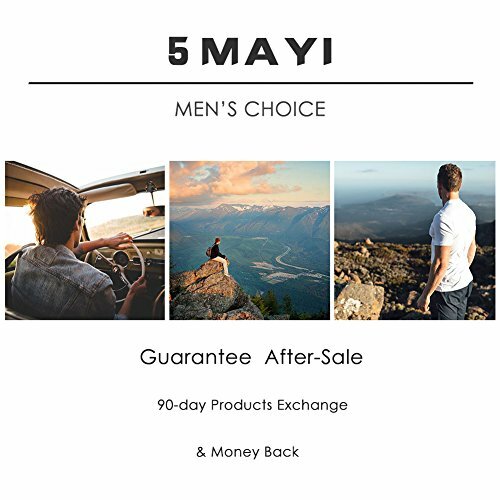 COLOR AND PACKAGE: There are underwear men pack of 5/6 boxer brief, assorted color men underwear as picture shows in a frosting zip bag,which is convenient to reserve underwear for men,especially while traveling or outdoor activities. NO RIDE-UP REGULAR LEGS: This is regular middle long legs men’s boxer briefs; *Notice: Ride-up problem is caused by choosing a smaller size than you need. Please check your leg circumference while buying underwear men usually, not only your waist circumference. Size Choose an optionMedium-33" - 35"Small-30" - 32"
5Mayi—May I Be Your A Part? 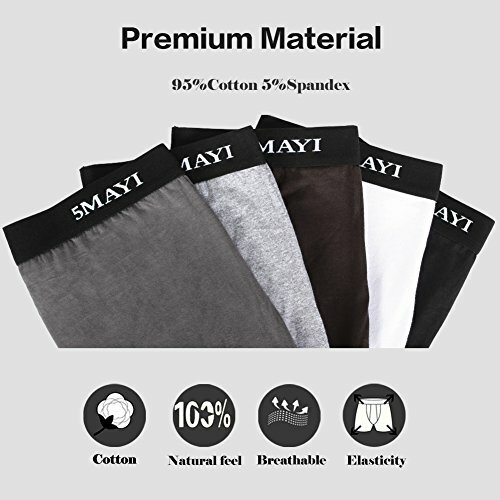 5Mayi specializes in designing and producing mens underwear boxer briefs. Mens Boxer Briefs Photo: Photo is consistent with the entity. Underwear Boxer Brief Package: Boxer Briefs will come with a recycle-use bag, which is convenient to reserve men’s underwear boxer briefs . 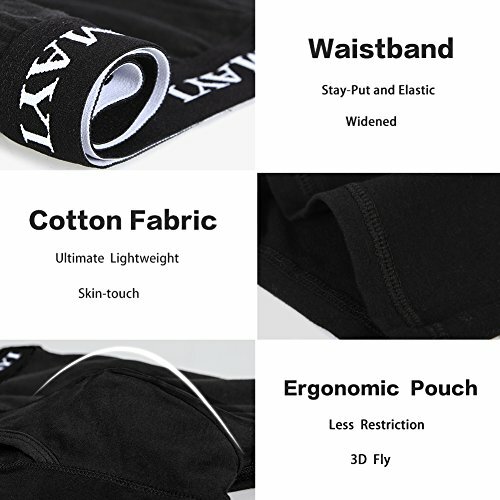 NO-BINDING WAISTBAND: 1.35 inch wide waistband which is wider than normal men’s underwear boxer brief for conforming to human body and supporting well, not too much loose or too tight. So someone does if he has paunch or beer belly. 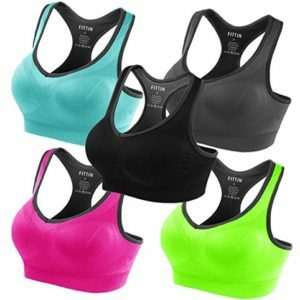 Medium-33" – 35", Small-30" – 32"